Ducks and geese are fun, charming and practical additions to the barnyard. Adding them to your farm can be financially rewarding as well as helpful for your gardens and crops—and endlessly entertaining for you, the farmer. Here are just a few reasons to consider adding waterfowl to your flock. 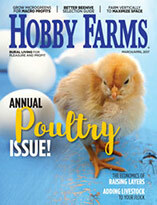 Feeding yourself or selling eggs is a great way to provide for a small farm. 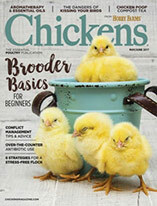 Many folks support a backyard chicken coop by selling eggs at a roadside stand. But ducks and geese offer even more value. Because of their large, rich yolks and their rarity, duck and goose eggs can fetch double that of chicken eggs. Geese are very seasonal layers, producing eggs only from February through July. Their eggs, however, are about the size of three chicken eggs and extremely desirable for baking and pasta-making (as well as day-to-day uses like frying up for breakfast). Ducks do lay eggs year round. In fact, their egg production is more reliable than that of chickens. Slightly larger, with a greater yolk-to-white ratio, duck eggs make a fluffy batter when used in baking, and they draw attention at any farmer’s market or roadside stand. Ducks and geese are much more pugnacious than chickens. Larger birds, they intimidate smaller predators, and many will actively chase varmints off. While a duck would be carried away by a fox—and even a goose is no match for a coyote—both types of fowl can help protect smaller and flightier chickens from little rodents such as weasels and rats. In fact, ducks have been known to kill mice and eat them, and geese can hiss a neighborhood dog right off your property. 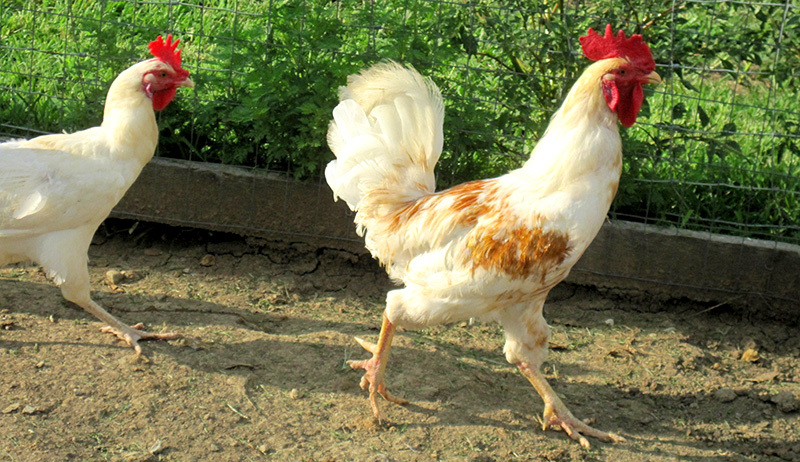 Most poultry are relatively easy keepers compared with livestock animals. Ducks and geese are not exceptions. 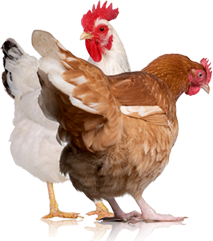 They require a safe shelter at night and a fenced area if you are not allowing them to free range. They’ll need some feed but usually consume a relatively small amount if they have access to fresh green grass. Both birds do require plenty of fresh water for drinking, bathing and cleaning their beaks when eating. They don’t need swimming water; just being able to wade will allow them to stay neat and tidy. Geese and ducks can bring some distinct benefits to your garden. While both will mow through seedlings if left unchecked, with a little bit of controlling they can be quite helpful. Ducks have a great appetite for pests, and they’ll eat up slugs and worms. Kept around your garden, they’ll destroy any tomato hornworms that come your way and not allow a single slug to pass. Unlike ducks, geese are strict herbivores. They won’t touch bugs, but they love weeds. In an orchard or vineyard, or around fruit and berry bushes, geese will keep paths cleared and eat any weeds that start to encroach on your plants. Ducks and geese have more personality that most backyard animals. Geese are deeply emotional birds that bond for life, and they’ll imprint on you if you raise them from goslings. Similarly, ducklings can imprint, and both always seem to be chattering to each other and anyone who will listen about their day. You can watch ducks and geese parade around the yard all day and never get bored, because they are always talking with each other and reinforcing their pecking order. Whatever your reasons for adding ducks or geese to your flock, these birds are sure to reward you. I don’t know anyone with these fowl who doesn’t ponder when they will get more.